Catch up on the latest car news that came up over Christmas including a new V12 BMW, a bizarre MINI convertible and new proposals for harsher punishments for drivers on the phone. A beefy BMW motorsport version of the 7 Series could be on the way after images appeared online on the company's online configurator. 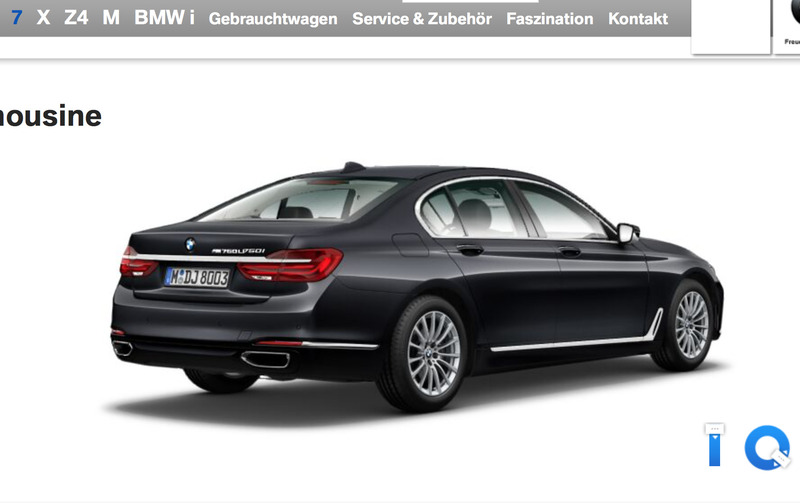 The pictures were grabbed by BMW enthusiast site Bimmer Today and show quite clearly the M760Li lettering on the rear of the car. If there is any substance behind the images, you can guess that it'll be powered by a 6.6-litre V12 Rolls-Royce engine considering it's developed my BMW themselves. That'll mean a 600bhp M-division monster aiming to rival the Mercedes-AMG S 65. The last time BMW did a beefy V12 for a sporty car was the McLaren F1, and we all know how that turned out - let's hope for more of the same! Under new Department for Transport plans, learner drivers will be allowed to take a motorway driving lesson to give them experience on high speed roads. Currently it is against the law for learners to go onto motorways, leading them to experience doing so for the first time once they've passed - without an instructor. This has caused obvious road safety concerns leading to new proposals which would allow it be done whilst still a learner. The policy makes part of a £2 million driver education research programme which also wants to increase the penalty for using a mobile phone while driving. The new change would mean four points on your license instead of three and a fine of £150 up from £100. Is that... a MINI Convertible? Bulgarian design company Vilner have revealed a rather unique MINI convertible with a gold and purple cabin. The car is described as being as "discrete as a firework" and features a complete interior overhaul consisting of a lot of purple, gold and blue throughout, from the seats to the dashboard and carpets to the door trim. The car is a one-off model designed specifically for an actress living in Beijing who's motto is "Success can be limitless, just like the Universe". This motto caused her to request a space-like theme with the car, which you'd have to say has been fulfilled with those colours! Nissan have pulled the plug on their Le Mans and WEC race programme, spelling the end of the GT-R LM NISMO. It comes as a result of the troubles and issues the front-wheel-drive racer has faced, where at Le Mans this year all three of their entries struggled to be even slightly competitive, with two of them retiring from the race and the third finishing so far behind it wasn't even classified. The Japanese manufacturer will continue with their other motorsport ventures however, with their primary focus still on GT3 racing. American automaker Ford have teamed up with internet technology company Google to help speed up the process of producing driverless cars. The idea is that Ford will use their worldwide manufacturing expertise and experience, and combine it with the autonomous prototype technology that Google have developed thus far. This should then speed up the timeline of producing a market-ready driverless car, which are currently estimated to hit the streets in 2020. Nothing has been officially confirmed as of yet, but the strong reports from reliable sources seem to conclude that an announcement is likely to be made at CES next month.